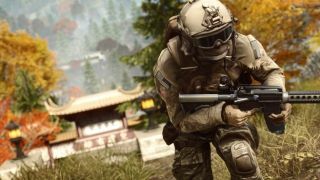 Depending on where you are in the world, Battlefield 4's new expansion, Legacy Operations, may have already launched, but it will be available to all for free come December 15. The centrepiece of Legacy Operations is a remake of the Battlefield 2 map, Dragon Valley—a vast, vehicle-focused map with eight capture points and an emphasis on destruction. Interestingly, the many bridges that cross the map can be repaired by Engineers wielding blowtorches. Given that they're vulnerable from both air and the water, that's probably a sensible addition. Joining Dragon Valley is a remake of Battlefield 3's most popular team deathmatch map (and my personal favourite), Noshahr Canals, along with a considerable list of fixes and adjustments. It's pleasing to know that EA is continuing to maintain BF4 desipte Hardline's release in March, and this hot on the heels of the news that Battlefield 5 is in development too.